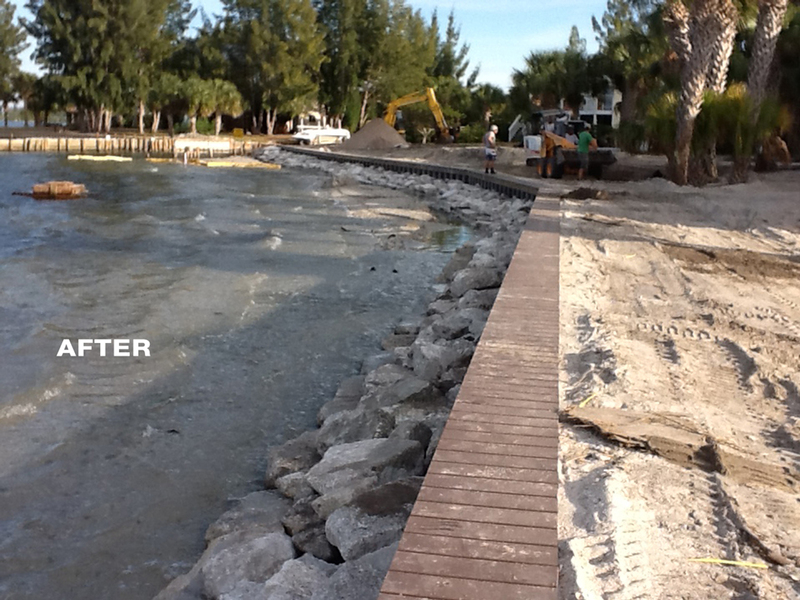 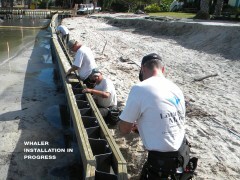 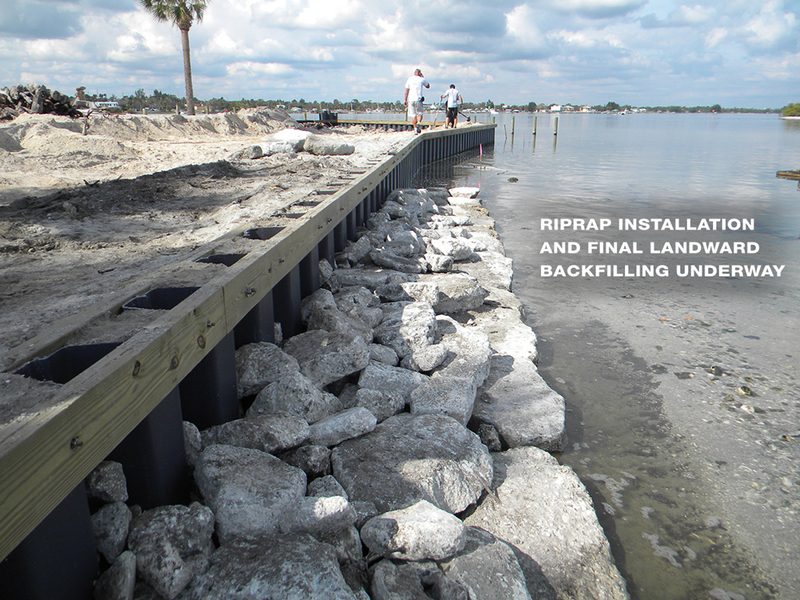 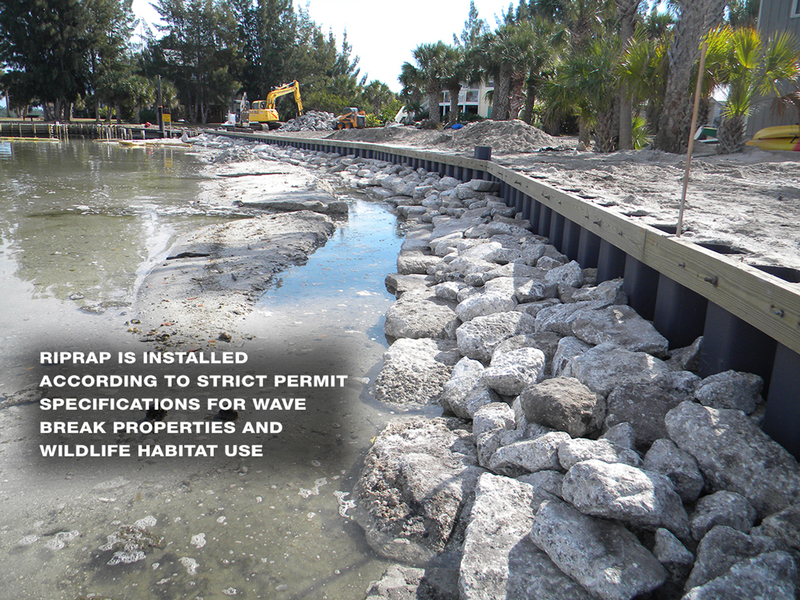 VIP Island | Land and Sea Marine, Inc.
Land and Sea Marine, Inc. was awarded the contract for this 403-foot seawall project on the north point of VIP Island in Grant, Florida. 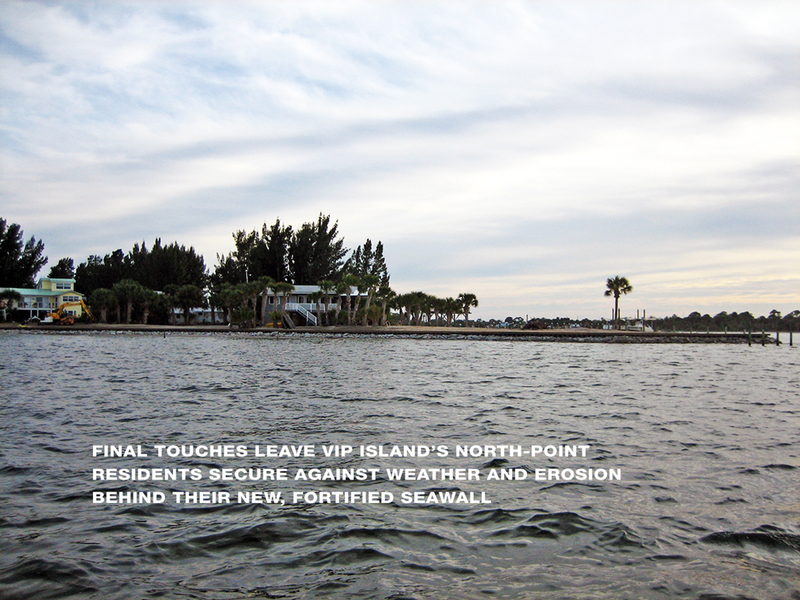 The previously unprotected shoreline was continuously eroding, threatening the security of the adjacent residences. 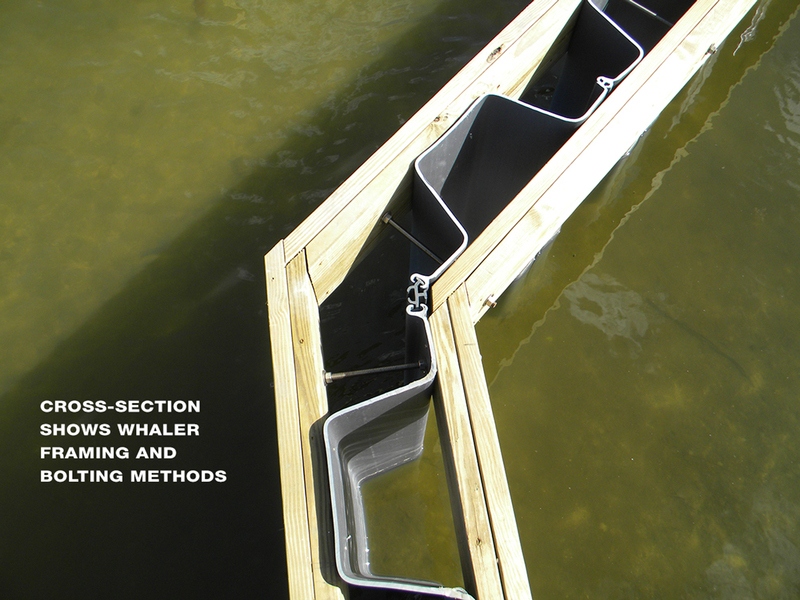 All materials used were approved by the Florida Department of Environmental Protection (DEP), and construction methods were performed according to strict US Army Corps of Engineers (USACE) standards. 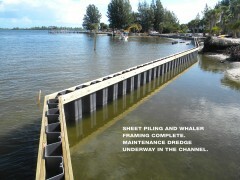 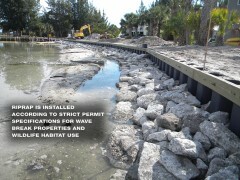 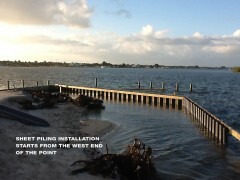 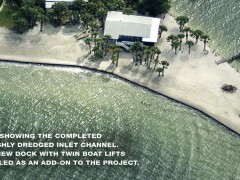 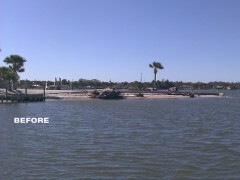 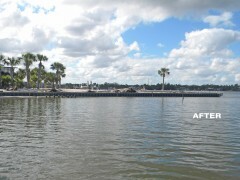 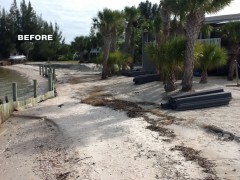 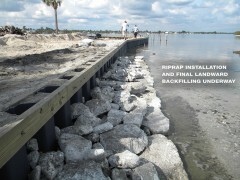 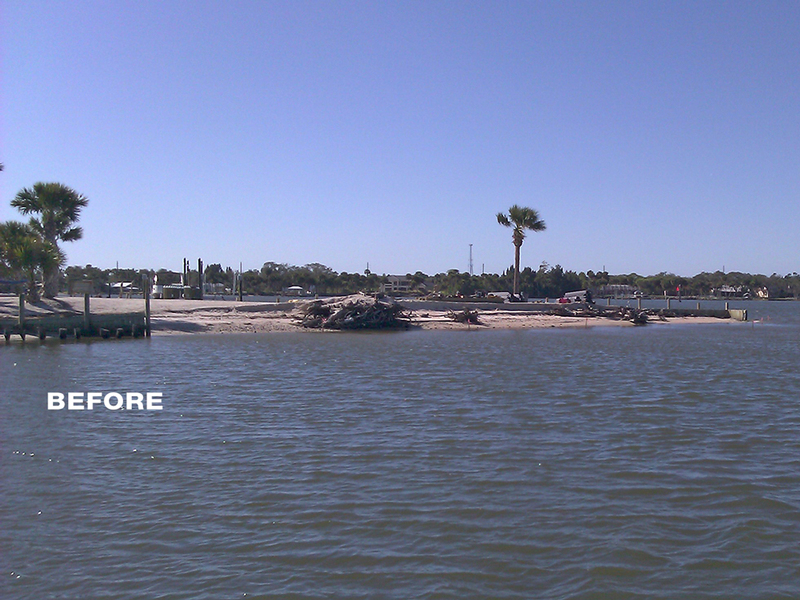 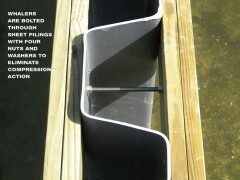 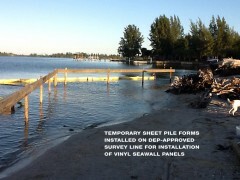 Permitting was obtained from Florida DEP and USACE through a private environmental permitting agency. 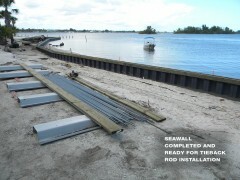 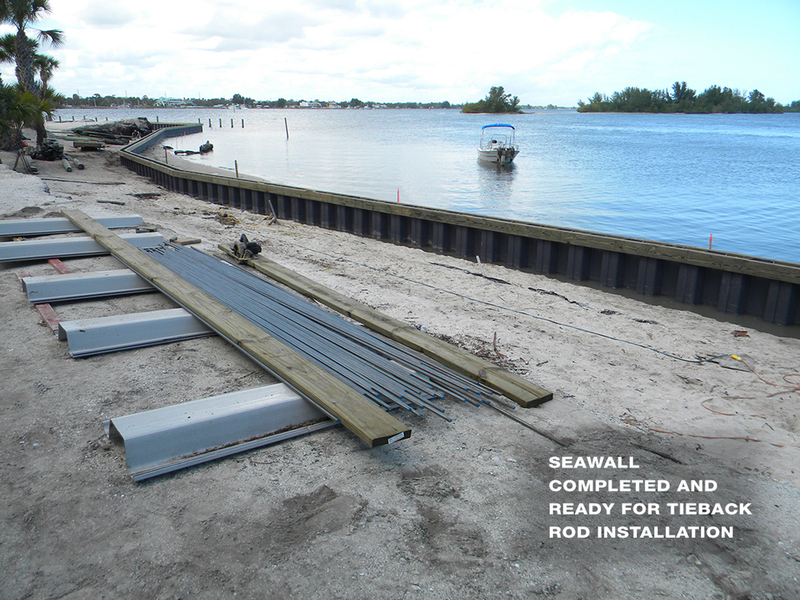 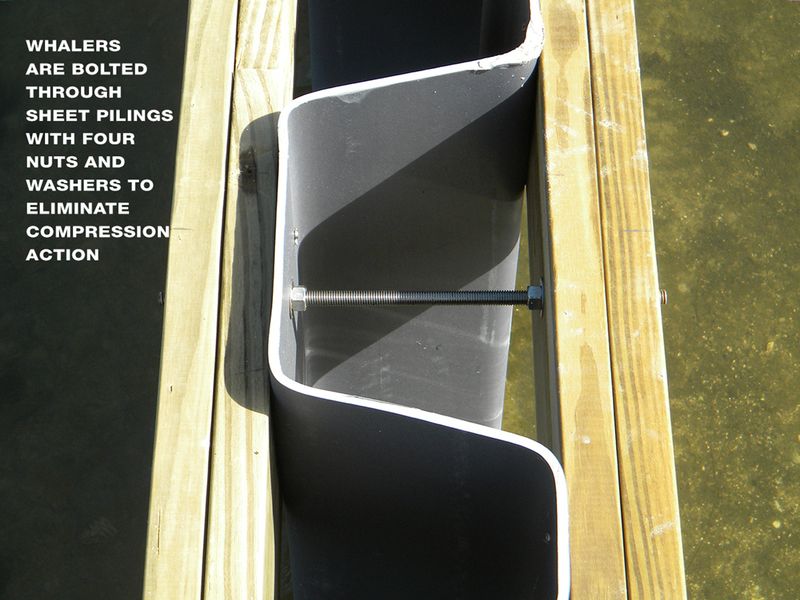 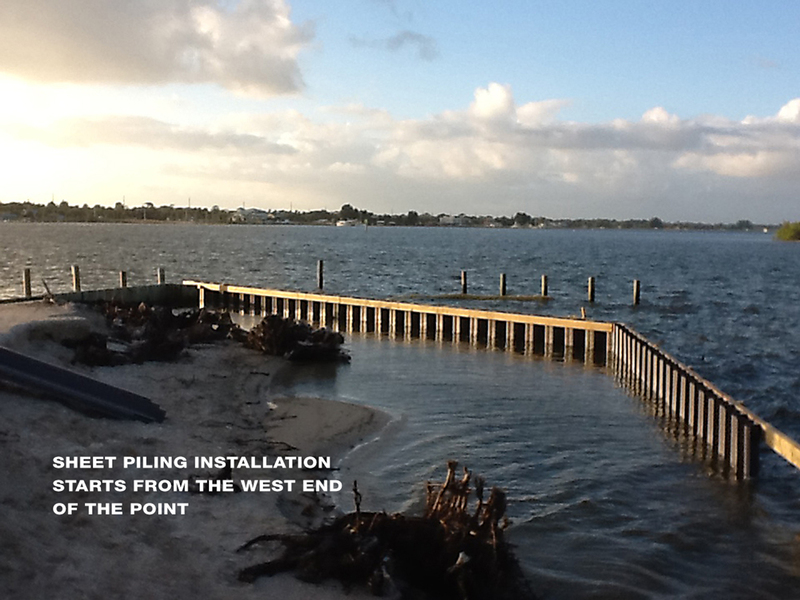 The new seawall installation features 425 series Shoreguard™ vinyl sheet pilings for long life, two-ply marine-treated inner and outer whalers secured by all stainless steel bolts, and an Azek™ vinyl boardwalk deck cap with stainless steel fasteners. 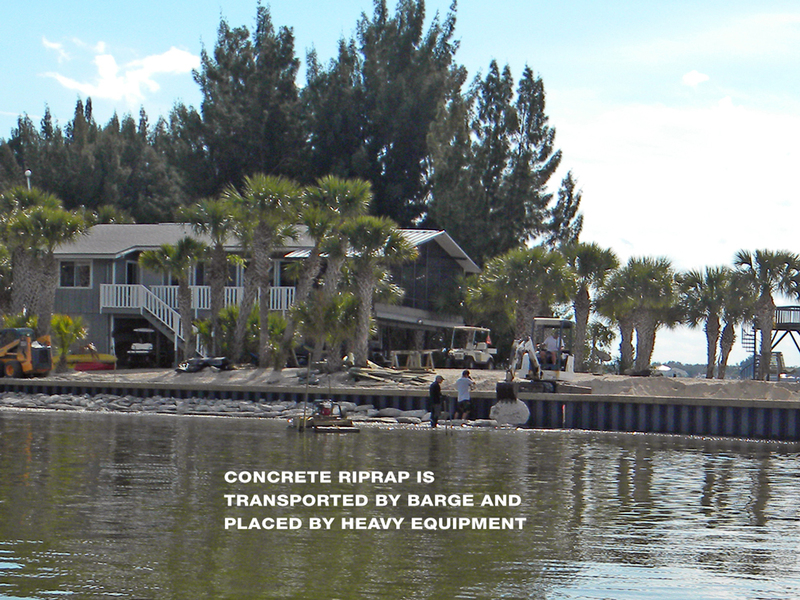 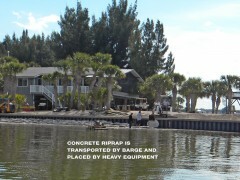 Two-hundred tons of clean concrete riprap for seaward wave-break and habitat, as well as 360 cubic yards of approved beach sand for landward backfill was transported by barge and push-boat to the island. 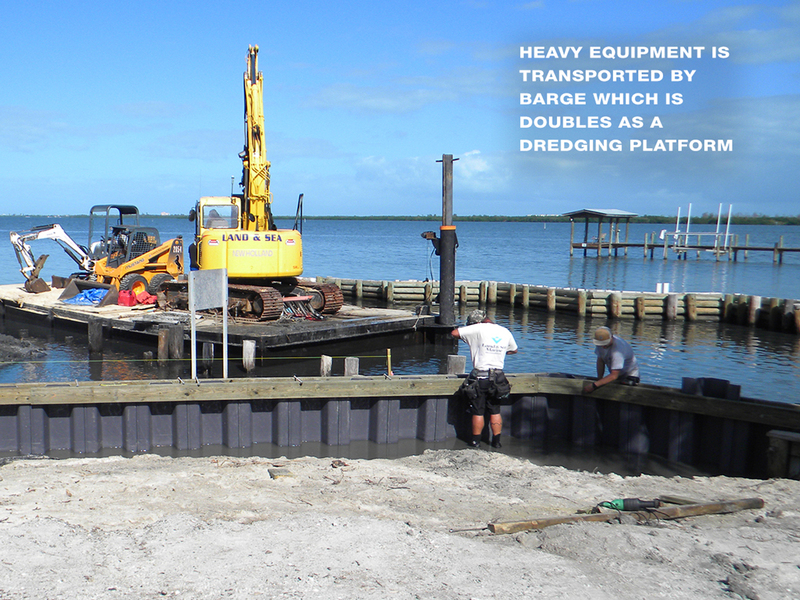 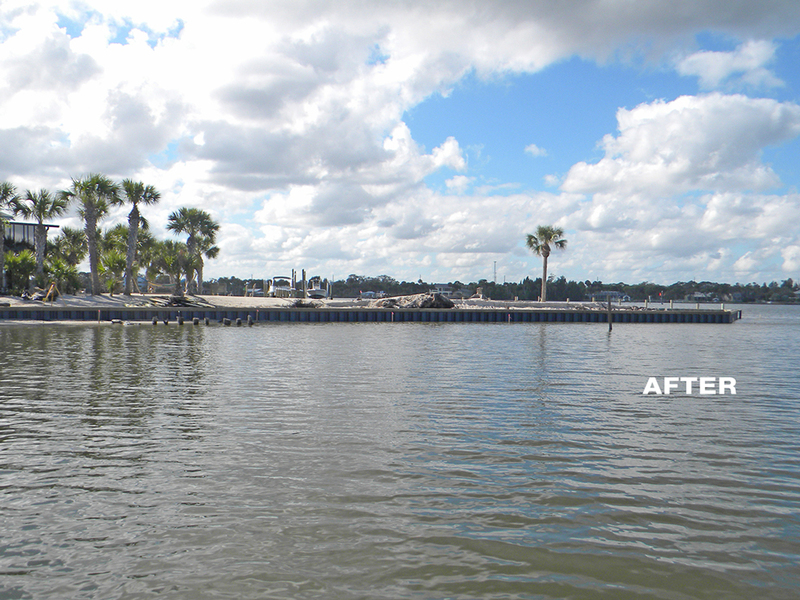 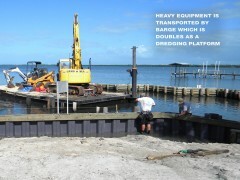 Heavy equipment was also barged in for seawall heavy duty tasks, and for dredging of the main channel inlet, which was performed under a separate maintenance dredge permit from Florida DEP and USACE. 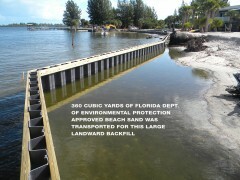 Click on any picture below to view a slideshow overview of the project.